I love a good story. A bedtime story, a love story, a “you’ll never believe this” story. A good story teaches, enlightens, entertains, and suspends all time and place — drawing you in so that only the story matters. A few weeks ago, I attended the wedding of a childhood friend’s daughter. The bride and groom, the stars at the center of a classic “boy meets girl” love story, were radiant, their joy contagious. Their story is just unfolding, the binding of that book barely cracked. Two elderly gentlemen who live in my neighborhood walk together every day. In even the most inhospitable weather, they travel a familiar route, leaning in to one another. They share unhurried conversation, a relaxed exchange of stories, the details of which only they know. I observe from a distance and wonder what the story of their friendship is. I hope that this holiday season provides opportunities to share old stories and create new ones — stories that will last for always. Here is a recipe for Winter Cabbage and Farro Soup that feels like an old familiar story. It is earthy, warm and oh so comforting. Thanks to Josh McFadden, author Six Seasons for providing the foundation and inspiration. Cut out cabbage core and roughly chop it. Cut the leaves into fine shreds by slicing through the chunk of cabbage. Heat 1/4 c. olive oil into a large soup pot or Dutch oven over medium heat. Add the onion and cabbage core, pinch of salt and some pepper. Cook, stirring frequently until the onion starts to brown and become fragrant, about 10 minutes. Add the garlic and cook for another 5 until the garlic is also soft. Add the shredded cabbage leaves and rosemary or thyme. Cover the pot and allow the steam to soften the leaves, tossing occasionally. Cook, covered, until the cabbage is very tender and sweet, 20-30 minutes. When the cabbage is ready, stir in the vinegar and adjust seasoning with more salt and pepper, if necessary. Meanwhile, heat approximately 2-3 tbsp. olive oil in another large pot, add the farro and cook, stirring constantly until the farro is lightly toasted and fragrant, approximately 5-6 minutes. Scrape the toasted farro into the cabbage pot and add the broth. Adjust the heat to a slow simmer and leave alone for approximately 25 minutes – until the farro is tender. Stir in the lemon juice and ladle the soup into bowls. Shower each bowl with grated Parmigiano cheese and enjoy! 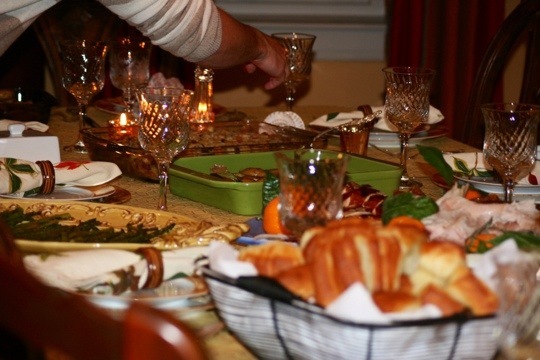 With the holidays looming, I think it is safe to say that we are all thinking about two things: food and family. Thoughts of how, when, in what way, and with whom we celebrate can be — to say the least — unnerving. The cooking is easy, albeit time-consuming, expensive, exhausting, and messy. Still, that’s the fun part. The gathering together? Well, that can be tricky. Families are complicated, and mine is no exception. Yet we love one another, and although distance, expectations, regrets, and sometimes long simmering tensions can create uneasiness, we bring our best intentions to the holiday table. We try not to let life get in the way. In this, we do our best; it is a work in progress. In the context of gratitude, I pledge this year to be mindful of why we come together in the first place: to reconnect, renew and remember. I will be thankful for good health and for freedom. For unconditional love, for time, and for family–those with whom I will share the feast, those who are far away, and those with us only in spirit. My contribution to this year’s Thanksgiving meal honors my long deceased grandmother, who brought this recipe for Hungarian sauerkraut with her to the U.S. many decades ago. Its pungent yet inviting aroma appropriately reminds us that holidays are always in some measure bittersweet. And more often than not, we wouldn’t have it any other way. This recipe, loosely based on my Nanny Martha’s, features the basic ingredients and method found in most Hungarian sauerkraut dishes. 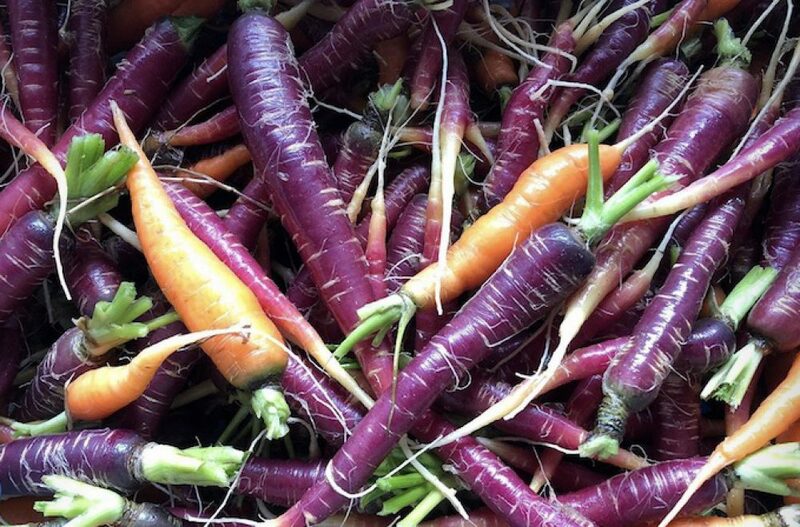 Be generous with the paprika (sweet only) as well as the caraway. It is the combination of the two, along with the slow cook method that contributes to the earthiness of the final product. What you are looking for is a subtle blend of tangy, sweet and sour that will leave you utterly satisfied. 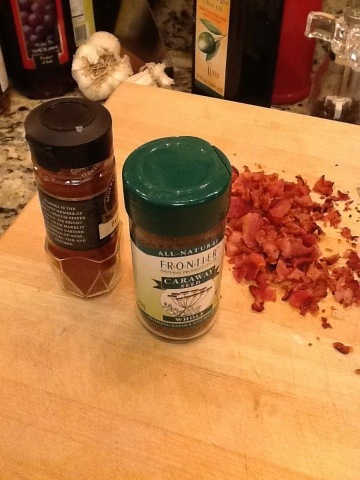 *While the bacon is optional, I highly recommend using it, both for its smokiness and its fat content. Nanny used lard in her recipe, so don’t let the bacon fat scare you. Drain the sauerkraut and set aside, reserving half the liquid from one can. In a large pot or dutch oven, cook the bacon over low-medium heat until browned and crispy. Remove the bacon, keeping the fat and drippings. Chop the bacon and set aside. Keeping a low-medium heat under the pot, add canola oil and when hot, add chopped onions and paprika. Sauté for several minutes until onions are soft. 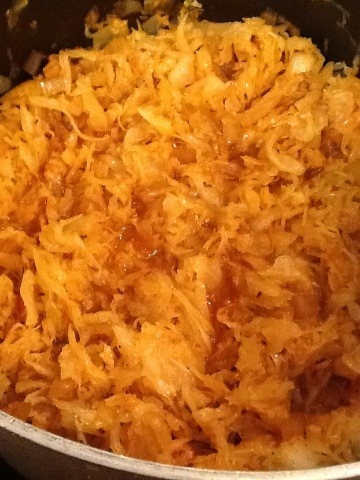 Add sauerkraut, reserved liquid, water, caraway seeds and sugar. Stir to combine thoroughly. Reduce heat to a simmer, cover and cook slowly for 1-1/2 to 2 hours. Check about halfway through cooking time to see if additional water is necessary. Serve hot with a dollop of sour cream. Marcie: Don’t feel bad, Chuck. Peppermint Patty didn’t mean all those things she said. Actually, she really likes you. Charlie Brown: I don’t feel bad for myself, I just feel bad because I’ve ruined everyone’s Thanksgiving. Marcie: But Thanksgiving is more than eating, Chuck. You heard what Linus was saying out there. Those early Pilgrims were thankful for what had happened to them, and we should be thankful, too. We should just be thankful for being together. I think that’s what they mean by ‘Thanksgiving,’ Charlie Brown.